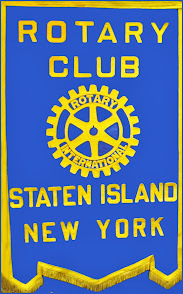 Rotarian Dr. Abdul Rehman is presented with his Louis R. Miller Award by Rotarian Dr. Larry Aaran and is rooted on by members of the Rotary Club of Staten Island. By age 65, Dr. Abdul Rehman had already put in the hard work required by anyone who lives the life of a full-time physician. He had already been practicing for 37 years and with his children now grown and with families of their own, he had an eye toward retirement. Instead, there came a higher calling. That's when a nurse from the Visiting Nurses Association in Brooklyn told him about an elderly Bulls Head woman who hadn't been out of bed for three years and was in need of serious medical care and had no able-bodied family to assist her. Dr. Rehman found himself going to the woman's bedside to provide the medical attention she so desperately needed. "I realized that there might be many others like her who are in similar situations," he said. "The un-insured, shut-ins -- in their homes," he recalled. "I decided there and then that henceforth, I will model my practice to fill this need and pay back to the community." So in 2009, Dr. Rehman opened a Sunnyside office where he now largely does home visits for the elderly and disabled, seeing more than 500 patients annually. Dr. Rehman is a man of faith, brilliance and deep compassion, qualities he uses to make the world better. As such, he is the latest recipient in the Established Business Category to receive the Louis R. Miller Business Leadership Award. A board certified internist and hematology oncologist, Dr. Rehman's part-time practice is located at 1326 Clove Rd., Sunnyside. He has been a practicing physician for more than 40 years. In addition to his own practice, he has worked since 1973 at the Brooklyn Hospital Center, where is now the senior attending physician for the Department of Internal Medicine and where he also serves as president of the professional staff and chairman of the medical board. He also is an attending internal physician at Staten Island University Hospital. A native of Pakistan, Dr. Rehman will tell you he always wanted to be a doctor, longing to model himself after his father, Dr. Noor-ud Din Rehman, a homeopathic physician. 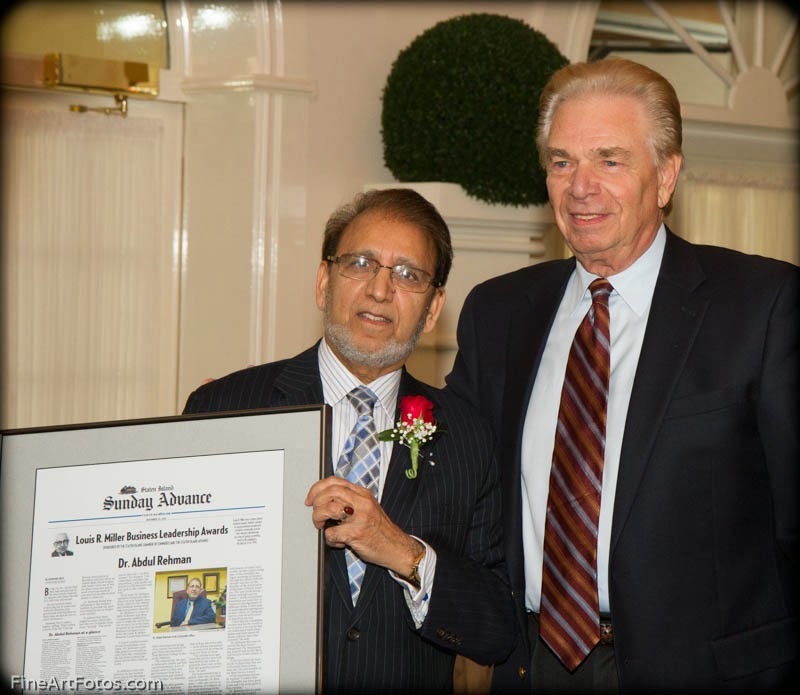 "He believed in the nobility of this profession and it's revered status in the human society," said Dr. Rehman. So he followed in his father's footsteps and at age of 23, earned his medical degree from the renowned Dow Medical College in Karachi, Pakistan. "He inspired me. He was a community leader and had a good reputation. A lot of people used to come and get treatment from him. I emulated him and wanted to be like him," Dr. Rehman said. Six months after graduation in 1968, Dr. Rehman emigrated to America. Initially, his plan was to return to Pakistan after doing post-graduate training, but he said he realized that training was worthless without taking the medical boards. But over the years of study, he said he, "started to see the prospect of practicing here much more than I would have back home," and chose to carve out a successful career and community life here. While he does do some office visits, the bulk of his work now is home visits. He also arranges lab tests, hospital care and home health services, if needed. But it doesn't stop there. Dr. Rehman will go the extra mile -- as he did for one patient -- to even pick up prescriptions for those in need. "The satisfaction I got from this service was only matched by the sense of gratitude that I saw in this frail and grateful patient's eyes," he said. His humanitarianism is global. 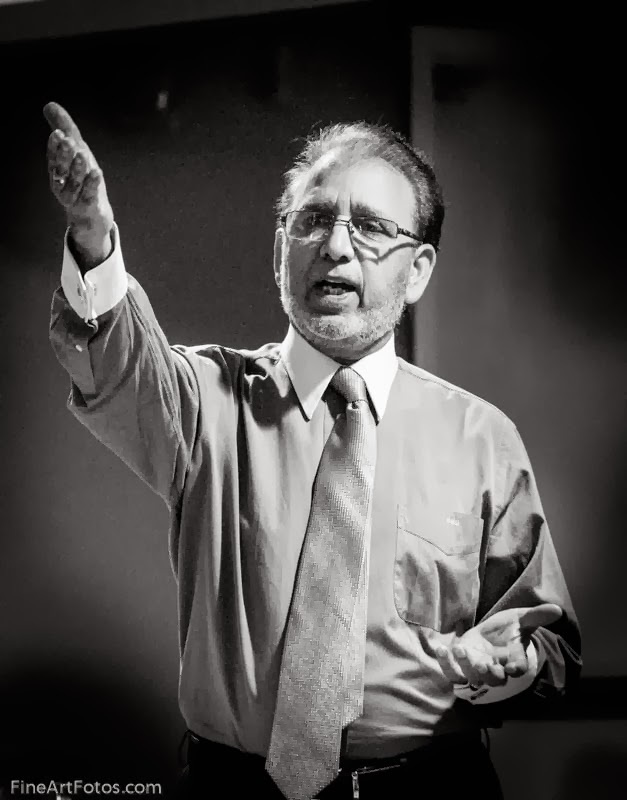 After the 2005 Pakistan earthquake, Dr. Rehman -- who also serves as the director of religious affairs and chairman of the founding committee for the Masjid Al-Noor Mosque in Concord -- worked to raise funds for victims. "I personally traveled to the affected area to help build shelters for the victims partnering with a local self-help group," he said. More than 35 families were helped through that effort. Among other activities, the mosque has worked to combat the discrimination many peaceful Muslims faced after the Sept. 11, 2001, attacks and held prayer and memorial services as well as made donations to help 9/11 victims' families. 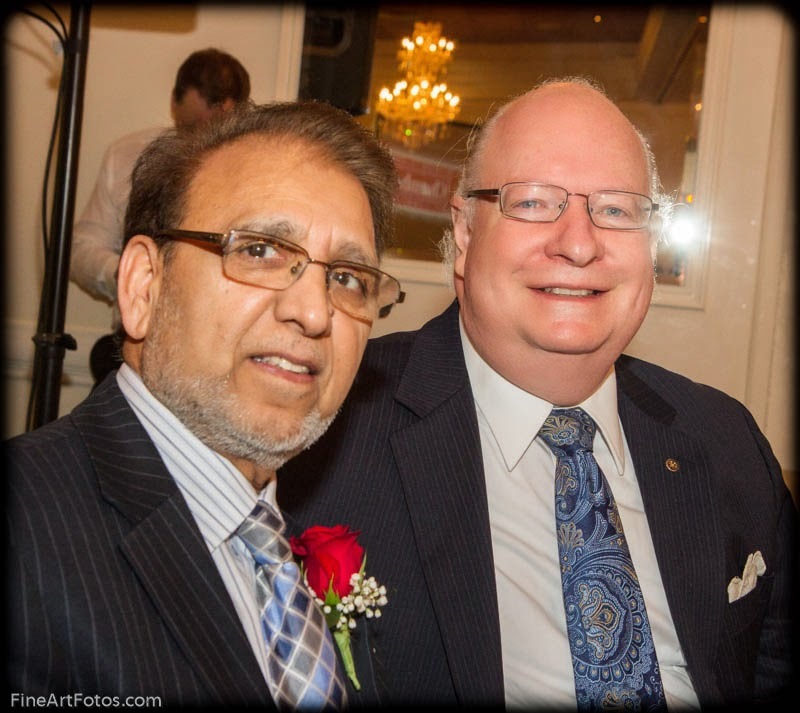 While he serves on several boards of Island non-profits, he also enjoys being part of the interfaith dialogue exchange prompted through his efforts with the mosque and also as the founder of the Association of Muslims of North America. The non-profit group -- which looking to go national -- works to promote friendship and peaceful co-existence among people of different faiths. It also aims to assist Muslim immigrants in their efforts to "integrate and become an active part" of American society. "I feel that for a healthier society and for the world to be at peace, it is crucial that we understand each other better and learn about different cultures and value systems," he said. Dr. Rehman this year received the Best Doctor Award and The Humanitarian Award both by the Medical Society of the County of Kings. "I am sure there are hundreds of physicians that are a thousand times better than me," he said humbly of the Best Doctor Award. Of his humanitarianism, he replied: "I realize that the Almighty has been good to me and I try to be good to His creation." Dr. Rehman also is a poet who affirms his creative being as an author of five published books in his native language, Urdu. He said his works reflect his love of humanity, nature and the divine. "Spirituality is the running theme in most of my thought," he said. "I do feel that I have been guided by my heart in everything that I do. I am happy about what I feel rather than what I know," he continued. "To me, my soul is the essence of my being and I like to nurture it and be true to it. This gives me satisfaction and happiness in life." "Happiness in life is attained, not by wealth, but by an inner feeling of contentment. That feeling comes by having a "balanced, middle of the road" approach to life. While paying attention to the needs of our profession or business, we have to equally tend to the needs and demands of our physical being, our families, our vocational organization, the community where we live and our faith system. "What good is the success in your career, if you have no time to tend to your own health needs or you are not available to your spouse or child at their time of need? One has to be a good all around human being before one can be good at anything else in life. "Our legacy is the imprint that we leave on the face of this Earth by our good and lasting deeds, by well raised children and by training others about the true purpose of life and to carry on the tradition of service to others." "To bring people together by raising awareness about different belief systems and cultures. I believe that the more we learn about each other, the more we realize that we are the same. It is the ignorance that is the root cause of discord in our societies. "We need to be better informed and well educated about each other, to attain harmony and true peace. Our spirituality is the common bond and awareness of our spiritual being can bring us together regardless of our religion or lack of it. I love to write and talk about spirituality and also about the true purpose of life. I do have several books on this subject, in my head that are dying to debut on paper. God willing, nothing is impossible." Married to his wife of 40 years, Razia Shaikh; one son, Aamir Rehman; one daughter, Naheed Abbasi; four grandchildren. Bachelor of Medicine/Bachelor of Surgery, Dow Medical College, Karachi, Pakistan. 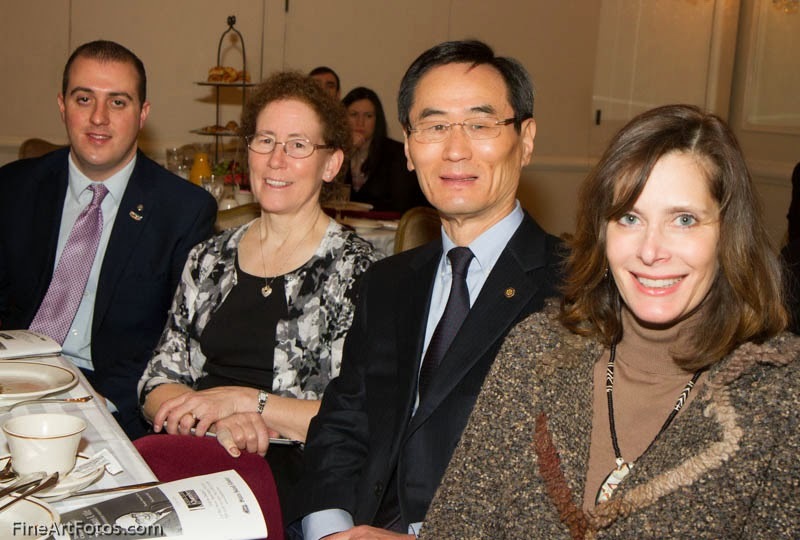 Fellowship, American College of Physicians; chairman, also, vice chairman, Medical Board, also, past chair, Bylaws Committee, and president, professional staff, also, past chair, Quality and Patient Safety Committee, also trustee, Brooklyn Hospital; past president, also, past chairperson, Board of Trustees, also, past chair, Bylaws Committee, Kings County Medical Society; life member and past president, Dow Alumni Association; delegate, American Medical Association, Medical Staff section, Brooklyn Hospital; member, American Medical Association; member, also, founding member of the AMA's Foreign Medical Graduates, Medical Society of the State of New York; life member, American College of Physicians; member, Finance Committee, Island Peer Review Organization; life member, Association of Pakistani Physicians. Past clinical assistant professor, Department of Medicine, Weill Medical College-Cornell University; past clinical instructor, Department of Medicine, New York University SUNY Health Science Center, Brooklyn. 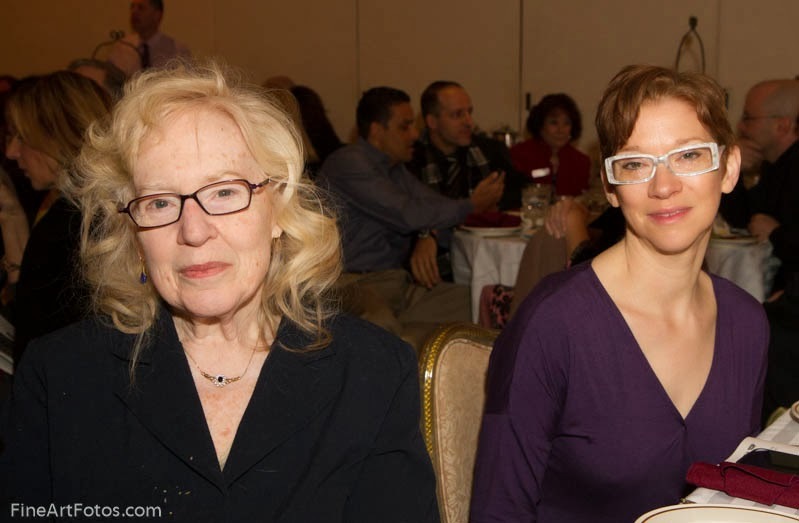 Member, and member of the board of directors, Rotary Club of Staten Island; board member, Staten Island YMCA; past board member, Staten Island Children's Museum; past board member, Staten Island Mental Health Society; past AIDS Advisory Council member, New York City Board of Education; past member/chair, Subcommittee on Healthcare Finance, Congresswoman Susan Molinari Healthcare Task Force; editor/founder, Medical Staff Journal for Brooklyn Hospital Center.